Yummy Gelato, Kaight's Men & Vegan Psychic Powers! Blackwell's Organic Gelato and Sorbetto is pretty damn good. My favorites are definitely the strawberry and the chocolate (and combining them! Wow). For those of us who like full, rich flavor (none of that watered-down, way-too-sugary crap), Blackwell's is perfect. The strawberry tastes like amazingly fresh, satisfying strawberries! The chocolate is dark, smooth, dense, and sophisticated. Check out their full range at blackwellsorganic.com. Check out the new menswear at our friend KAIGHT SHOP for some organic denim by the ethically handsome "Good Society" and some of the hard-to-find eco-friendly Tom's (the ones without the toxic dead cow insoles, duh...). Does going vegan give you psychic powers? For those of you who consider yourselves spiritual or into "energy", and you still eat meat and dairy, you'll definitely want to read this interesting article. 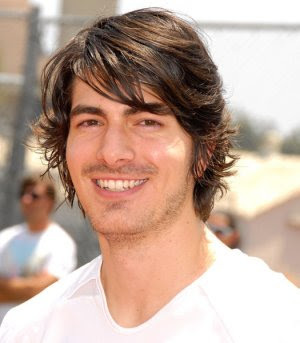 The article was so interesrting, that according to Ecorazzi, Brandon Routh's (Superman) character in Scott Pilgrim Vs. The World will be a rocker with “vegan psychic powers”. I know some ladies(and gents) who wonder if he's single...?